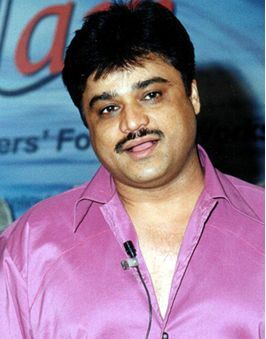 Director, writer and lyricist Sanjay Chhel is popularly called the king of one-liners. His terrific sense of humour which never fails to tickle the funnybone reinstates the enviable niche he has carved for himself in the world of comedy. His down to earth demeanor makes it hard to believe that he has to his credit some of the most memorable serials on television like Naya Nukkad, Filmi Chakkar, Philips Top Ten, Mast Mast Hai Zindagi and Dekh Tamaasha Dekh to name a few. His work in Bollywood includes blockbuster films like Rangeela , Yes Boss, Daud, Kacche Dhaage, Pehla Nasha, One Two Ka Four, Kahin Pyaar Na Ho Jaye , Phir Bhi Dil Hai Hindustani and Halo which won a National Award in 1996. Recently, he has taken over the director's reins for Yahoo, another comedy written by him .He has also penned the lyrics for songs in Khoobsurat, Halo, Kya Dil Ne Kaha as well as the hugely popular Nikamma Kiya Is Dil Ne which has been rated as the largest selling number of 2002. Currently, he is working on the script of Humari Bahu Malini Iyer, a sitcom which will soon be launched under the Sridevi Productions banner on Sahara TV. When and how did you get bitten by the writing bug? I am an ardent fan of theatre and had written many one act plays during my college days. I began my career as a scriptwriter with a regional channel in Ahmedabad before the satellite invasion took place. Since then, I have worked on many television and film scripts. What are the essential requisites of a good writer? A writer should be able to conjure interesting concepts and characters. He should be able to churn out stories that reflect society. He should be innovative and should have the courage to experiment and the conviction to accept failure in his stride. Which medium do you prefer writing for - the small screen or the silver screen ? Personally, I prefer writing for films as writing for television has many disadvantages. Firstly, there is no review of work as a result of which the quality of work suffers. Also, a lot of work goes unnoticed on television. In the case of films, the writer gets due credit and instant recognition. The work gets documented , thus there is archival value of the work which unfortunately does not happen in television. Writing for television is like writing daily reports for a newspaper whereas writing for movies is like writing literature. "The Indian audience is dull. We are conservative and not educated enough to enjoy sitcoms"
What does writing for sitcoms entail and how different is it than writing for soaps? Comedy is very serious business and more than talent, it requires hard work. It is primarily the art of presenting daily life in a precise yet funny manner. To write a funny script one needs to think out of the box and understand the audience he is addressing. A surprise element is absolutely essential and clichés need to be avoided. As far as writing for soaps is concerned, one needs to be closer to reality and address situations that actually occur in real life. What is your opinion of the sitcoms currently on air? I seen no original work on television today. Nobody is willing to take a risk or go against the tide. A writer should innovate and experiment such that he goes for subjects that bring in a breath of fresh air and are tangential to the ones that currently dominate the world of television. The same old jokes are being retold time and again. Unfortunately, a sense of humour is completely lacking in television today. Moreover the Indian audience needs to relax a bit. What do you have to say about channel interference in a scriptwriters arena? I have heard of scripts being turned around to suit channel preferences. This is unfortunate as a script is a work of art, a creation that should not be tampered with. The usual victims are primarily the newcomers in the field who have no say. Fortunately for me, I started writing for television when I had already established myself as a successful film scriptwriter . So I haven't faced any such problem so far . What kind of remuneration can television scriptwriters expect? In our country, the remuneration of a television scriptwriter hugely depends on his star value and the number of hits he has delivered. I wouldn't be able to quote the exact figure for a newcomer in this field but am sure it's not much. "There is a dearth of good actors / actresses in the comedy genre." How many scripts are you working on currently? On an average, I work on three to four scripts simultaneously as we don't have the luxury to decide which script is going to work and which isn't. A scriptwriter has to be prepared for all kinds of unforeseen circumstances and be tuned to the happenings around him. I write for a minimum of four to five hours every day and take ideas from the every day happenings, newspapers and books. Who decides the success of a script? Though there is no doubt that the director plays an important role in the execution of a script, in the case of sitcoms it primarily depends on the actors. There is a dearth of good actors / actresses in the comedy genre. Currently there are only a chosen few who have the wit, timing and the chemistry required to project humor to the discerning audience. What in your opinion is lacking in television today? What comes on television nowadays lacks life. It talks of a world that doesn't really exist. As far as family dramas go, I cannot express my views as I don't watch them. I feel I have enough problems of my own and don't need to take on their additional woes as well. As far as sitcoms are concerned, I feel that the Indian audience is dull. We are a conservative audience and are not educated enough to enjoy sitcoms. Also, the channels are conservative and are not willing to give new talent a chance. As a result the audience is tired of seeing the same old faces with similar antics, we need new actors, new faces to do justice to the script.